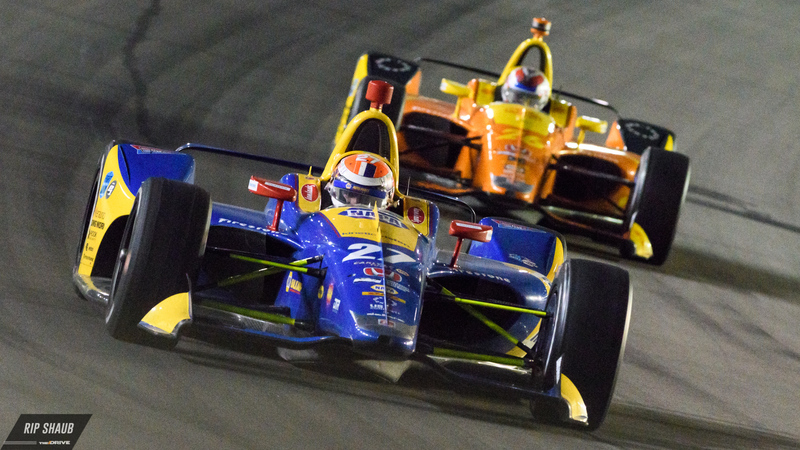 Scott Dixon wheeled his Honda-powered racer to victory lane at the Verizon IndyCar Series DXC Technology 600 at Texas Motor Speedway on Saturday evening. The 248-lap race lived up to the superspeedway's reputation for delivering white-knuckle passes at absurd speeds around the tightly-packed track. 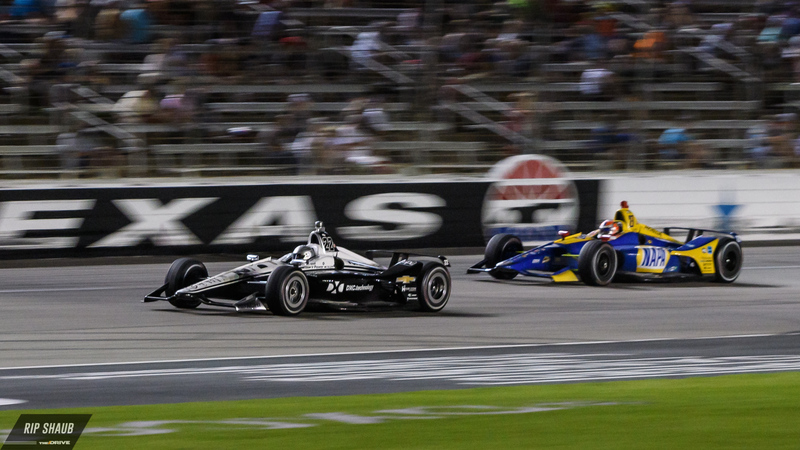 Team Penske's Simon Pagenaud and Andretti's Alexander Rossi followed closely in second and third place. The 1.5-mile banked oval saw several leaders throughout what could be considered an open-wheel endurance race, but it was primarily the trio of Penske drivers that were the favorites to win the race after starting on the grid's top three positions. However, much like the Indianapolis Motor Speedway, the Texan track is a cruel mistress and it is never in to please, something which was especially evident with the Firestone rubber that was disintegrating at a much faster pace than anyone had predicted. 'The Captain' looks on at his team which managed a 1, 2, 3 finish in qualifying. While the Chevrolet IndyCars looked strong for the first half of the race, the Honda machines of Dixon, Robert Wickens, Rossi, and James Hinchcliffe were always in the podium fight, but most of them were content with saving fuel and avoiding chaotic situations. 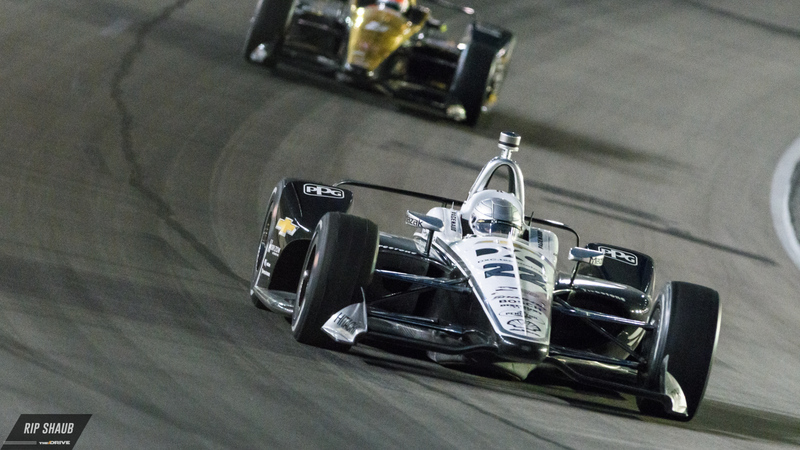 Unfortunately, Wickens wouldn't see the rostrum at the end of the race as he got tangled up with the Chevrolet of Ed Carpenter and managed to bring both of their races to an end. Ed Carpenter fell out of the 600-kilometer event after his collision with SPM star rookie Robert Wickens. Not too long after the Wickens-Carpenter collision, it was Indy 500 champ Will Power who closed the door on a charging Zachary Claman DeMelo when the Canadian attempted to pass a group of three cars, including Power himself. This brought out yet another full-course yellow, which allowed Dixon to reset his sights and aim for the front of the field, which is exactly where he went once the race resumed with less than 50 laps to go. "I love winning at Texas. This place is awesome," said Dixon. "Always a big thank you to Eddie Gossage (Texas Motor Speedway president) and his team. They do a fabulous job. The PNC Bank car is back in victory lane. It's fantastic. The car was just stuck. Whatever we did, the car was just nailed. It was a bit loose at times, but I can't thank the team enough." Further back in the pack were Hinchcliffe, Ryan Hunter-Reay, and Graham Rahal who wrapped up the top six, and Takuma Sato, Sebastien Bourdais, Ed Jones, and Charlie Kimball who secured their respective spots in the top ten, and in turn, valuable points for the championship. Today's results move Dixon to the top of the championship with 357 points, Rossi in second with 334, and Power in third with 321. Dixon takes his second win in seven days to nab the championship points lead. 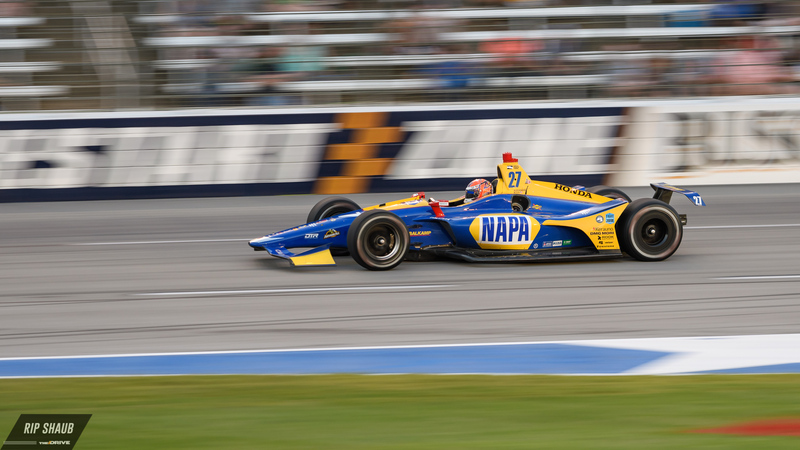 The IndyCar fraternity now heads to cheese and beer country for the Kohler Grand Prix at Road America in Elkhart Lake, Wisconsin on June 24.